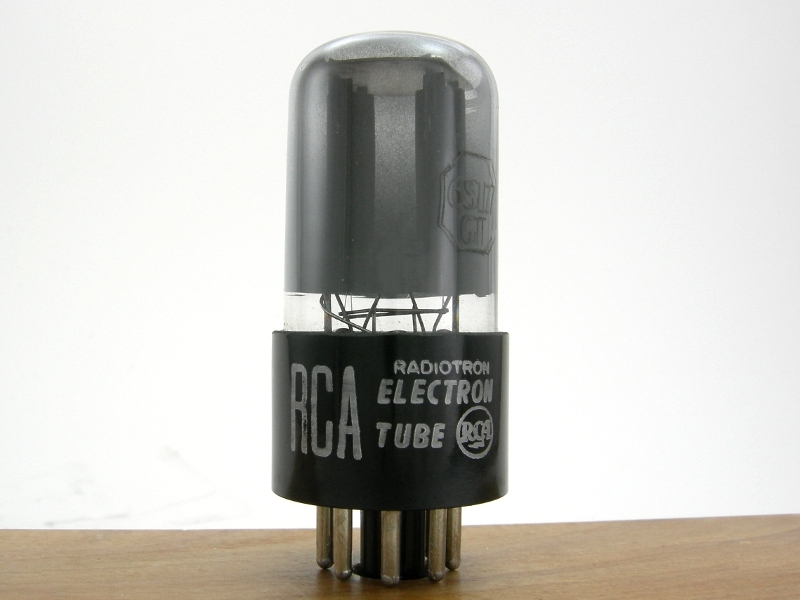 This 1954 RCA 6SL7GT tube has gray glass and a bottom getter. The black base has silver print with the RCA logo. This tube is sold individually. Photo is of a sample from the lot. Matched pairs, when available, are listed as Item 671.